Holidays to Florida are bigger and better than ever. Treat yourself to the good life and start living large in the Florida villas instead of a traditional hotel. 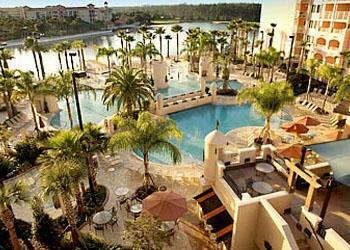 Florida villas are available across The Sunshine State from the sparkling beach communities to the heart of Orlando. Kiss your cares good bye with a stylish Florida holiday done your way. The Orlando villas are fully equipped with everything you need for an independent getaway with all the comforts of home. Stretch out in a two, three, or four bedroom unit priced just right to meet and exceed most budgets. Getting started is a snap with a full inventory of Florida villas online. Point and click on the villa size, price and location, then rack up some serious savings with the all inclusive villa holiday package. Beautiful villas start with a generously appointed condo unit or kick it up a notch with a detached villa house. The perks and amenities to villa living can beat the best deluxe hotel room on the block. Villa guests enjoy a gourmet kitchen, inside laundry room, two car garage, fenced yard or patio and a private swimming pool is available upon request. There’s nothing like having a home-cooked meal, and villa living means you take control over your travel food budget. Whip up your own healthy meals in a spacious kitchen and keep your food bill down by buying your own groceries. However, happy holidays need something tempting for the palette on occasion starting with some of the best restaurants in town. Orlando is a melting pot of cultures and eclectic menu options and one of the best cities in Florida for delectable dining. Get a handle on the restaurant list before your holiday departure to ensure you have time to make the rounds. 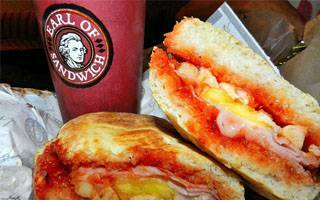 Located on Buena Vista drive in the Disney area, Earl Of Sandwich is the best place in town for signature sandwiches, subs and tasty American fare. Piled sky-high with the freshest ingredients, this sandwich shop is best in its class. 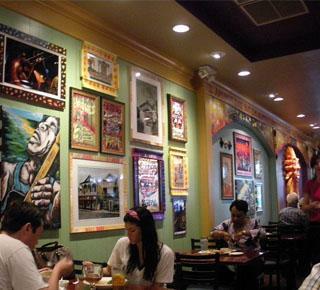 Located at 1234 N. Orange Ave in Winter Park, The Ravenous Pig is most famous for its pork dishes. However you can also get artisan cheeses, country-style biscuits and they have a full bar. Outdoor patio seating is available and you might want to try their specialty lobster tacos for a real treat. This famous place is located at 2203 Aloma Ave in Winter Park. Their motto is ” food, funk, music and soul”, and this is one great pub for neat to eat southern treats in a friendly deep south atmosphere. There are three locations in the Orlando area, perhaps the most convenient choice is down on International Drive. Choose from a wide variety on the sumptuous menu from king sized buffalo shrimp to thick and juicy steaks. Vegetarian dishes are also proudly served and the cutting edge bar boasts of some of the most unusual mixed drinks to sample and savor. Located on I-Drive, this family friendly hot spot for international cuisine serves gourmet plates at budget prices. Fill up on traditional comfort foods or dare to be different with a fresh banana pizza, Cajun egg rolls or marinated Oriental steak skewers.